” President Obama’s temporary deportation amnesty will make it easier for illegal immigrants to improperly register and vote in elections, state elections officials testified to Congress on Thursday, saying that the driver’s licenses and Social Security numbers they will be granted create a major voting loophole. Cravins was addressing his comments to those who had opted for early voting in Landrieu’s primary election on November 4th. He made the comments on November 3rd, encouraging voters to go vote again on Election Day. ” States have abandoned electronic voting machines in droves, ensuring that most voters will be casting their ballots by hand on Election Day. ” Paper, even though it sounds kind of old school, it actually has properties that serve the elections really well,” Smith said. ” I voted in Moline on Monday October 27. I had heard about the machines having issues on TV, but I was shocked when it started happening to me!! Illinois “calibration errors” were originally reported on a week ago in Cook county , but as this video demonstrates , it is still going on , now in Rock Island county as well , but what does one expect from the land of the voting dead . ” An election integrity watchdog group is suing the state of Maryland, alleging that it has discovered massive and ongoing fraudulent voting by non-U.S. citizens in one county. 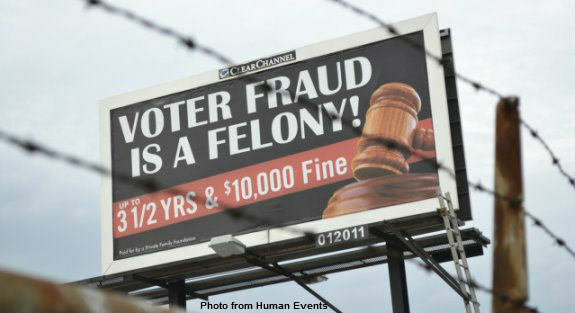 But because of the way that the non-citizens are able to cast votes in elections, the fraud is likely happening in every single county and subdivision across the state. The group believes that the illegal voting has been happening for years. This news , coming on the heels of yesterday’s allegations of “calibration errors” in Maryland and Illinois’ last week , along with the Washington Post’s recently published guide to states requiring no ID to vote puts the lie to the meme that vote fraud is a myth . Remember that every fraudulent vote negates the vote of a legal citizen , thus robbing that citizen of their civil right to participate in “free and fair” elections . Does your vote count ? Or has it been nullified by Mickey Mouse or the Dallas Cowboys ? ” The pro-amnesty Hispanic activist organization the National Council of La Raza helpfully promoted a Washington Post article explaining which states people can vote in without having to use a photo ID. Read more at the DC Caller and read Washington Post article here. ” Early voting just started last week in Maryland, but there are already accusations that some voting machines are changing Republican votes to Democrat. Now Republicans are calling for an investigation by the State Board of Elections. “ We’ve heard from scores of citizens in our district and around the state who have had this problem where they hit one button to vote for one person, and when they go to the summary they see that the other person was checked,” said Del Nik Kipke, (R) Anne Arundel County. Isn’t it a mite peculiar that all of the reported “calibration errors” seem to result in the same republican to democrat vote switch and never from democrat to republican ? … hmm . Oh , we nearly forgot , they all seem to be appearing in democratic controlled states , first Illinois and now Maryland , what a coincidence . 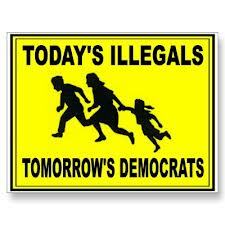 ” Could control of the Senate in 2014 be decided by illegal votes cast by non-citizens? Some argue that incidents of voting by non-citizens are so rare as to be inconsequential, with efforts to block fraud a screen for an agenda to prevent poor and minority voters from exercising the franchise, while others define such incidents as a threat to democracy itself. Both sides depend more heavily on anecdotes than data. Our data comes from the Cooperative Congressional Election Study(CCES). Its large number of observations (32,800 in 2008 and 55,400 in 2010) provide sufficient samples of the non-immigrant sub-population, with 339 non-citizen respondents in 2008 and 489 in 2010. For the 2008 CCES, we also attempted to match respondents to voter files so that we could verify whether they actually voted. ” Early Voting in Illinois got off to its typical start Monday, as votes being cast for Republican candidates were transformed into votes for Democrats. ” The Supreme Court on Saturday allowed Texas to use its strict voter identification law in the November election. The court’s order, issued just after 5 a.m., was unsigned and contained no reasoning. Justice Ruth Bader Ginsburg issued a six-page dissent saying the court’s action “risks denying the right to vote to hundreds of thousands of eligible voters.” Justices Sonia Sotomayor and Elena Kagan joined the dissent. The court’s order was an interim move addressing emergency applications filed Wednesday, and a trial judge’s ruling striking down the law will still be appealed. But the Supreme Court’s action set the ground rules in Texas for the current election. Early voting there starts Monday, which helps explain the court’s rush to issue the order as soon as Justice Ginsburg had finished her dissent. ” The federal government refuses to say whether prosecutors in Yuma, Arizona, have scaled back a years-old program that guarantees jail time for most immigrants caught crossing the border illegally and which law enforcement officials say is crucial to public safety. Reports that federal prosecutors have stopped some prosecutions under Operation Streamline surfaced nearly two weeks ago when Arizona Sens. John McCain and Jeff Flake wrote a letter to Attorney General Eric Holder seeking information on the status of the zero-tolerance program that circumvents the civil immigration system and lumps together months’ worth of criminal proceedings into one day for immigrants caught crossing the border illegally. Yuma County Sheriff Leon Wilmot said in a letter to the senators that he had been informed that federal prosecutors in Yuma are no longer going after first offenders. But the government has been completely silent on the issue. Public affairs officials from the Department of Homeland Security, Justice Department and the U.S. Customs and Border Protection have all refused to answer questions about whether the program has been scaled back. Rep Gowdy is that rare bird that truly understands the law and it’s continuous flouting by our present lawless administration and isn’t afraid of calling them and their flunkies on it . He should be speaker of the House . ” For President Barack Obama, the humanitarian crisis at the U.S.-Mexico border is increasingly becoming a political liability, giving Republicans a fresh opportunity to question his administration’s competence and complicating the debate over the nation’s fractured immigration laws. The only problem with Rep Cuellar’s comparison of the illegal immigrant crisis with Bush’s Katrina moment is the fact that in Bush’s case the press had a desire to embarrass the administration whilein Obama’s case they are doing everything within their power to protect him from the same sort of scrutiny . ” After being questioned by the other guest, Garza goes on to explain that what he means by “aiding and abetting” is that the federal government is just taking the information of these illegals and telling them to report back to an immigration hearing based on the honor system. He says that the majority of these people will never report back to an immigration hearing. How do you expect a mother from Honduras that is crossing the country with 3 to 5 children, and they’re all young-aged children, how do you expect for that mother who comes to this country to actually begin working? This illegal alien who comes to this country with 3 to 5 kids is gonna depend on our welfare system, on government assistance. And you know what? That is costing the taxpayer a lot of money. ” This was less than a week after the North Carolina Board of Elections discovered THOUSANDS of residents who voted in both North Carolina and another state in the 2012 elections. A crosscheck of voter rolls in Virginia and Maryland found that 44,000 people are registered in both states.